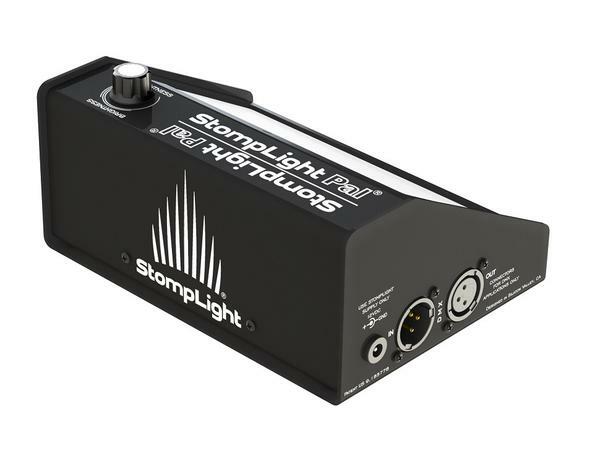 The StompLight® Pal is an innovative DMX512 lighting slave engineered to connect/cascade with the innovative StompLight® Professional DMX lighting effect pedal, other StompLight® Pals and the variety DMX512 lighting products that exist in today's marketplace. 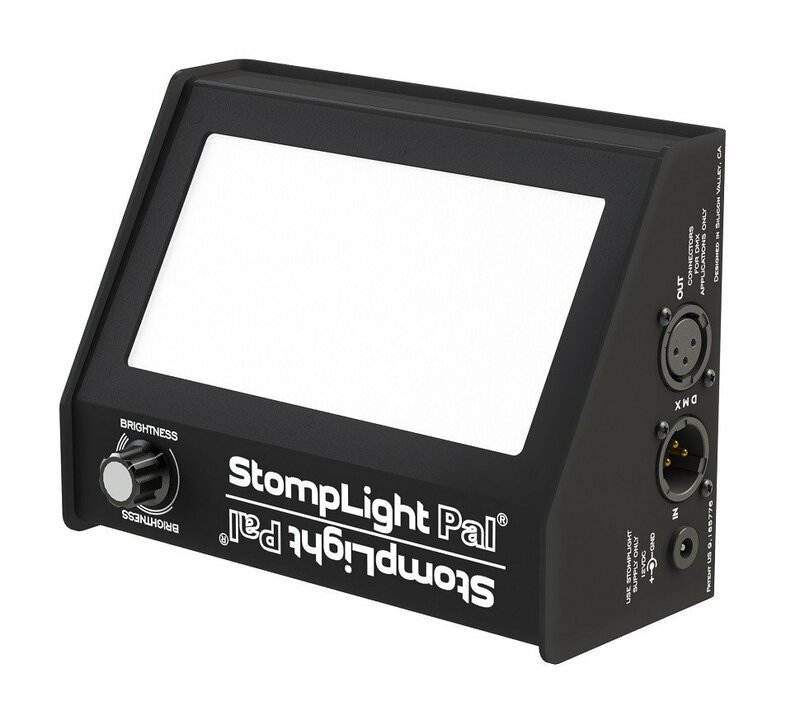 The StompLight® Pal may also be used as a stand alone solid color stage light when first "loaded' using a StompLight® DMX Professional effect pedal. 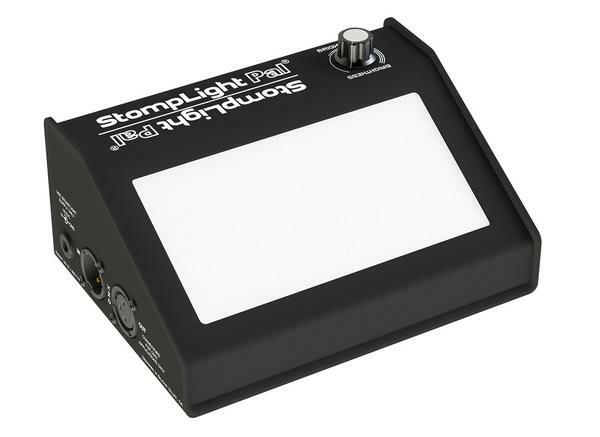 When the Pal is connected to a StompLight® Professional DMX lighting effect pedal the StompLight® Pal mimics the StompLight® DMX Pro's brilliant color and sound active effects. Another key feature of the StompLight® Pal is that it can be powered for hours with the external StompLight® Lithium Ion Power Bank making the Pal extraordinarily easy to set up and position anywhere. Bring along an extra battery pack and you are never out of power. A StompLight® Pal sets up and breaks down in seconds making it a great solution for the DJ or working musician who prefers a quick set up and tear down. 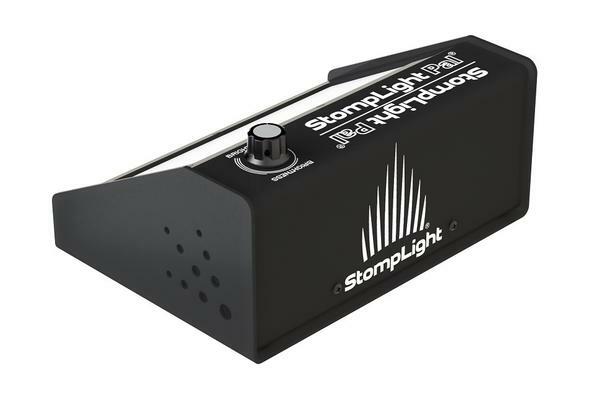 A highly effective stage lighting system can be staged in under two minutes using a StompLight®t Pro DMX pedal connected to 1- 3 StompLight® Pals using StompLight® Power Banks. 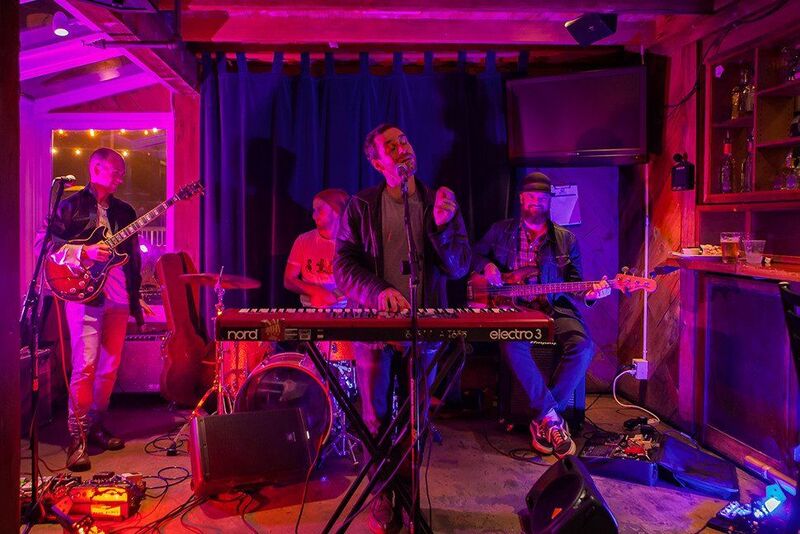 The StompLight Pal incorporates the same gold standard CREE LED array as the StompLight Professional DMX lighting effect pedal creating a diffuse light field that lends itself to stage, facade or under-table lighting. Traditional PAR lights are often too focused for these applications. The small foot sprint and external battery pack make all StompLight® products easy to move about, position and break down. The StompLight® Pal is housed in a rugged aluminum powder coated enclosure. Shaped like a floor monitor (aka floor wedge) the StompLight® Pal offers a variety of lighting angles and surface placement options. StompLight® Pal is light weight (1.7 lbs) and comes with fasteners installed for mounting to a microphone stand using the StompLight Mic Stand adapter. The StompLight®t Pal works with DMX systems using 3-pin DMX cable or typical microphone cable (XLR). Multiple StompLight Pals can be daisy-chained (aka cascaded) together using a single StompLight® Professional as the Controller. The StompLight® Pal also has a brightness adjustment knob for localized brightness adjustment. The StompLight® Pal can be powered with the optional rechargeable StompLight® Power Bank or the included 12 volt PSU.